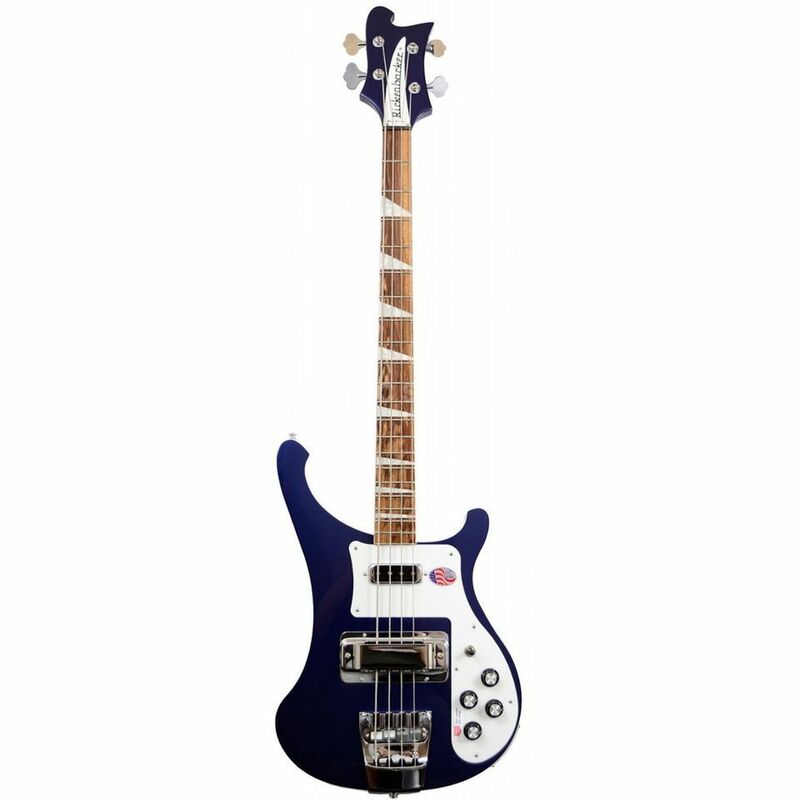 The Rickenbacker 4003 Midnight Blue is one of the greatest classics in the history of the electric bass. With its unmistakable Roger Rossmeisls design, the electric bass has an incredible stage presence, while the traditional maple construction with a full neck and two single coil pickups delivers a strong sound with enormous assertiveness. Last but not least, the Rickenbacker 4003 features the traditional Rickenbacker bridge with mute assembly and precise Schaller Deluxe tuners. The Rickenbacker 4003 convinces with its striking design and the typically brilliant sound. For the construction of the Rickenbacker 4003, the company from Santa Ana, California has always relied on the neck-through construction method. The neck is made of one piece of maple and glued with body wings also made of maple, which together provide the basis for the brilliant Rickenbacker sound. With the slim "C" profile, the neck also sits comfortably in the hand, so that on the 20-flush Carribean Rosewood fretboard, every note comes out of the fingers as if by itself. Two Rickenbacker single coil pickups are used as pickups on the Rickenbacker 4003, which together with the passive electronics deliver the typical Rickenbacker sound. Accordingly, a brilliant sound with lively dynamics is available at the amplifier, which asserts itself very well in the band sound. The 3-way toggle for pickup selection and separate volume and tone controls allow you to select a wide range of tones. Another special feature is the "Vintage Tone" circuit for the bridge pickup, which delivers the particularly bright sound of the original Rickenbacker basses after activation. Last but not least, the Rickenbacker convinces with reliable hardware equipment in authentic vintage style. The strikingly designed Rickenbacker Bass Bridge is used on the body, which can be used to set an exact intonation and comfortable string position. In addition, the Mute Assembly, which can be adjusted via two thumb screens, offers the possibility of damping the string vibration. Schaller Deluxe tuners also guarantee precise bass tuning.